I am a UVic School of Earth and Ocean Sciences M.Sc. student working with prof. Stephen T. Johnston studying the tectonic evolution of the Canadian Cordillera with particular focus on the tectonic significance of poorly understood carbonatite complexes of the Cordilleran Foreland Belt. I have a strong interest in tectonics, structural geology, and igneous and metamorphic petrology. In 2008 I completed my B.Sc. Honours degree at Dalhousie University working with prof. Nick Culshaw studying the structural and metamorphic evolution of the Central Gneiss Belt of the southwestern Grenville province; this work earned me the 2007 Atlantic Provinces Council on the Sciences Award for Undergraduate Earth Science Research. I have a strong passion for geological field work and, outside of academia, I've worked with the Nova Scotia and British Columbia Geological Surveys on regional bedrock mapping projects on both of Canada's coasts. 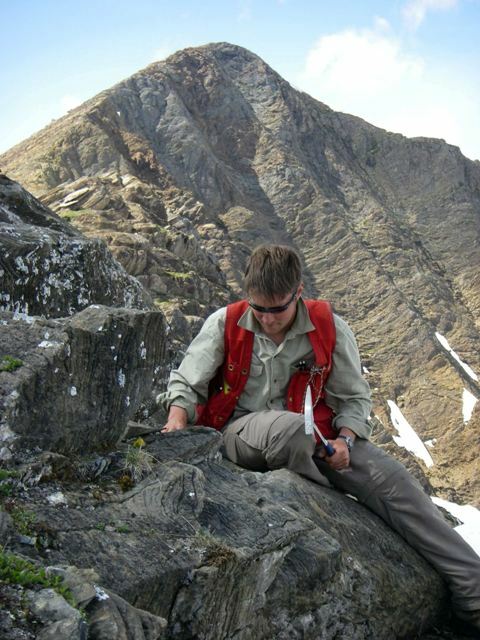 My project focuses on the tectonic controls on emplacement of the Aley Carbonatite Complex, Northeastern BC Rocky Mountains, and its implications for niobium (Nb) and Rare Earth Element (REE) mineralization within complex as well as broader tectonic implications for the evolution of the Canadian Cordillera. Many carbonatite occurrences within the Cordillera are well-known for their Nb and REE mineral potential; however, the tectonic and petrogenetic controls on their evolution are poorly understood in part due to their mineralogical and structural complexity. My project aims to address this fundamental knowledge gap by conducting detail field mapping, geochronological, and petrological investigations on the Aley Carbonatite Complex, one of the best exposed and preserved examples of a carbonatite in BC. As global economic interest in Nb and REEs continues to grow at a rapid pace, largely due to their use in industrial and personal high-tech electronic devices such as, lithium-ion batteries, magnets, and liquid crystal displays (LCDs), a better understanding of carbonatites in the Canadian Cordillera is poised to advance exploration and development of these important commodities in BC.